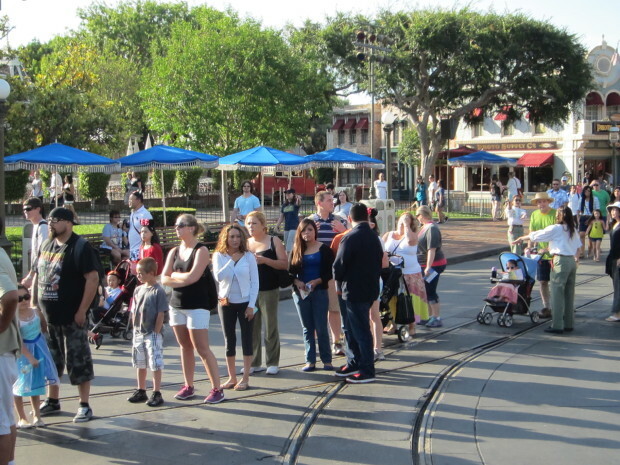 At 7:45 a.m. Disneyland opened its gates and people streamed towards the ropes set up at the Hub and immediately began forming a line for the “Frozen” meet-and-greet with Queen Elsa and Princess Anna, as they have done since November of last year. Still before the rope drop at 8:00, the line wound around the Hub and down Main Street from its beginning near the Frontierland gate. A Disneyland cast member who was helping to control the crowd said that this was nothing unusual. 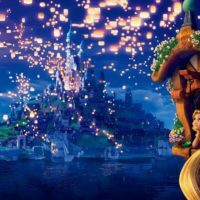 He stated, “There’s often a 3 hour wait within 5 minutes of opening.” At 8:00 a.m. sharp the ropes came down and the line of people headed straight towards the “Frozen” meet-and-greet area in the old “Tangled” building. This spot is located between the Village Haus Restaurant and “Pinocchio’s Daring Journey” and is where Rapunzel and Flynn used to hold their meet-and-greets, before they moved to the Fantasy Faire with most of the other princesses. Olaf the talking snowman is now perched on the roof and quips comments about visitors and the movie. 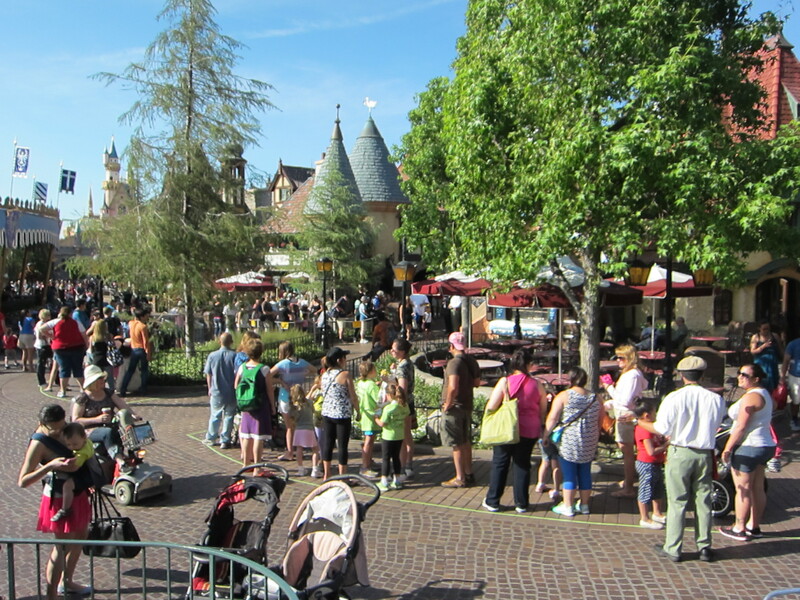 The queue filled up promptly and by 8:30 a.m. was beginning to wrap around towards the front of the Village Haus. Disneyland cast member Jason estimated that the wait was about two-and-a-half hours at that time. Still, he felt very positive about the wait time on this beautiful Sunday morning, as it had often been much longer. 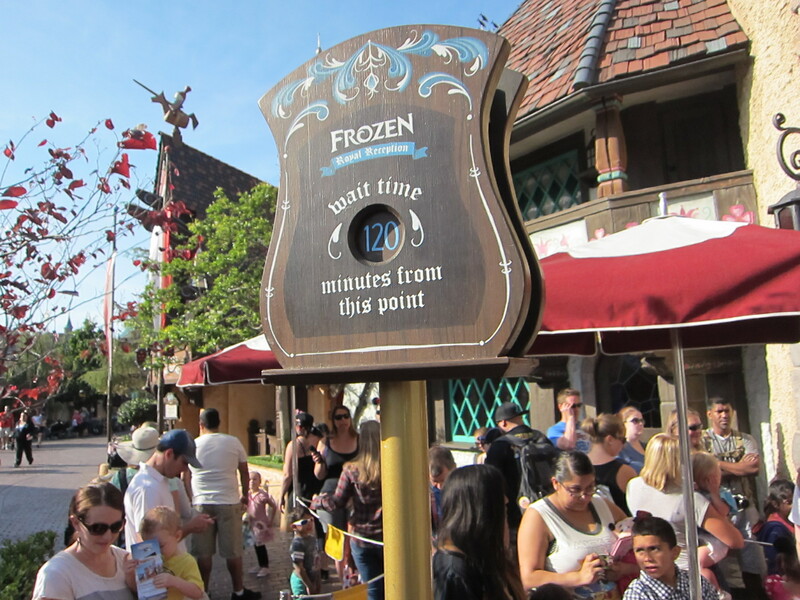 Another Disneyland cast member, Jillian, said that a wait time as long as four-and-a-half hours was not uncommon. 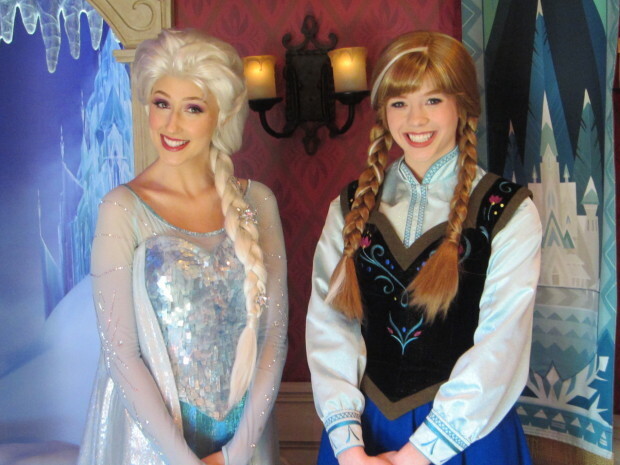 The popularity of the royal sisters from Arendelle is “unprecedented” according to a February 20, 2014 article in the Orange County Register. On the same morning (May 4, 2014) when these pictures were taken, the wait time to see the princesses at the Royal Hall at Fantasy Faire was about half an hour while the wait time to see Tinker Bell at Pixie Hollow was about 45 minutes. 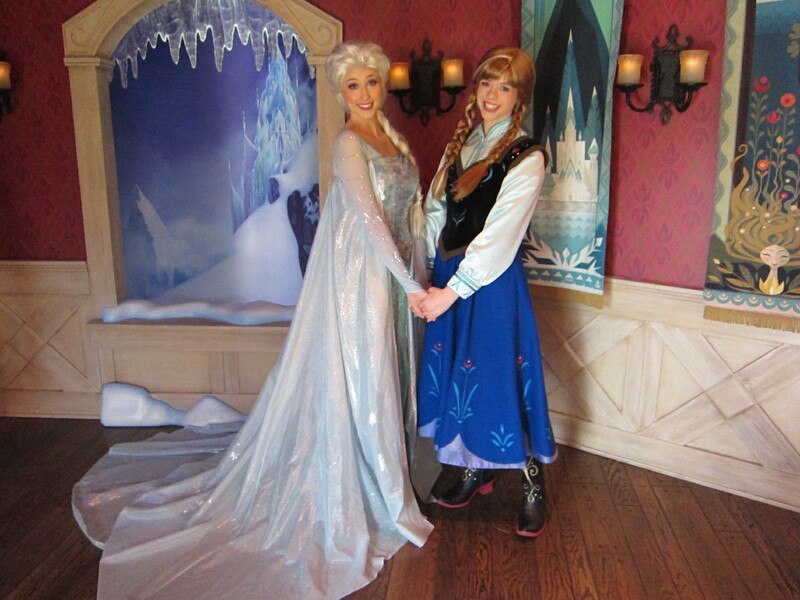 The unfortunate result is that a great many Elsa and Anna fans aren’t getting the chance to see their heroines. 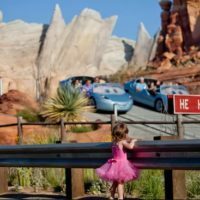 The wait time is simply too much time for many families to be able to give to a single attraction, no matter its popularity. This may be particularly true for tourists from outside of the local area, whose time at the Disneyland Resort may be limited. 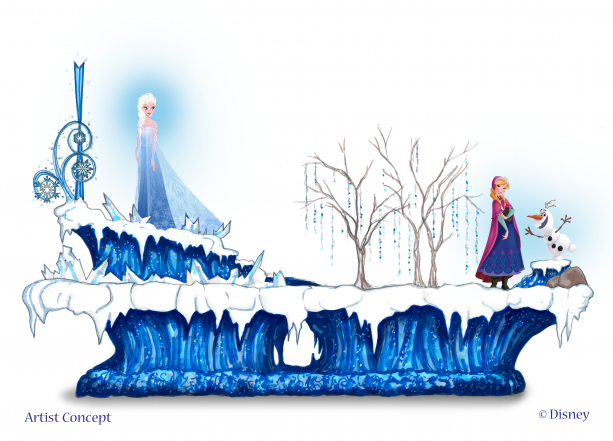 An idea for crowd relief that has been recently heard discussed by cast members is for Disneyland to give the “Frozen” group its own float, which would precede the standard parade along the regular parade route in a “pre-parade.” This way, at least the thousands of fans of Queen Elsa and Princess Anna who come to the park would get a chance to see and cheer and take pictures of the royal duo, even if they were not able to obtain a private audience with them at the “Royal Reception” meet-and-greet. The idea of a “pre-parade” has been done several times before, including with Princess Giselle of “Enchanted,” the cast of “Up,” and Prince Caspian of Narnia. 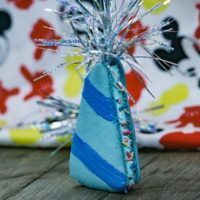 While Disney has not yet made any announcements, the imminent arrival of the summer crowds might encourage forward movement on the issue, or the two to three hour waits of the springtime could become just pleasant memories.